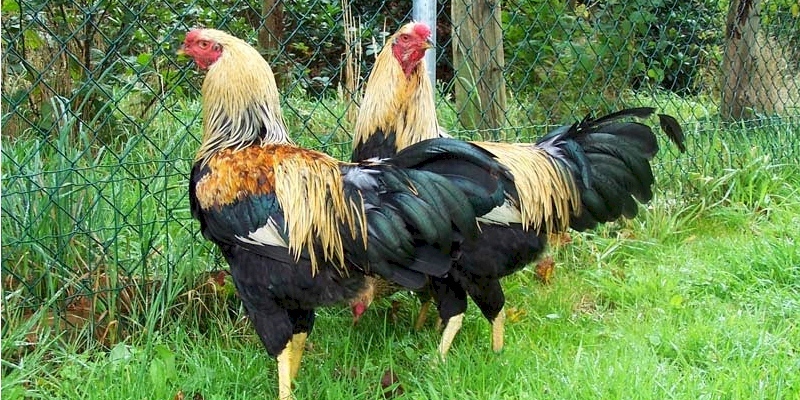 Kraienkopps appears in two color varieties: Black-breasted Red and Silver. Males weigh 2.75 kilos (6 pounds), and females weigh 1.8 kilos (4 pounds). They have yellow skin and a small walnut-type comb.